As winter approaches, it seems prudent to cover some of the basics of cooling tower cold weather and freezing weather operations. 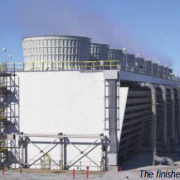 This is especially important with counterflow towers because special procedures are required to minimize ice formation within a counterflow cooling tower when it is operated at or below freezing temperatures. Otherwise, ice forms on the fill and drift eliminators. A sufficiently heavy build up will cause damage to the fill, drift eliminators, or structural members. Icing on the columns and lateral supports should not be broken off manually as damage to the structure may occur. 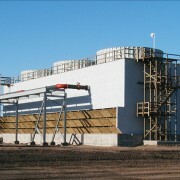 To remove icing on support structure, should it develop, the tower may be operated without fans in operation until the hot water melts the ice and clears the supports. A simple automatic deicing control system would be as follows: One switch would start the automatic deicing system which would sequence each fan or group of fans in reverse operation. The automatic system should have an adequate time delay between forward and reverse fan operation keeping in mind that the fan must come to a complete stop. 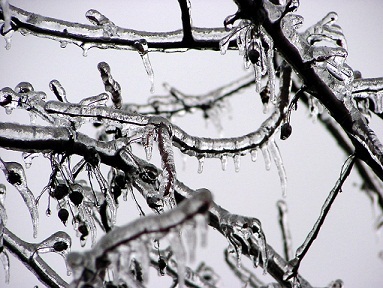 In addition, this would allow the control room operator to deice each cell independently for an extended period of time if visual inspection showed that a localized icing problem existed after the automatic deicing cycle. Fans should not be operated in reverse for extended periods since ice can form on fan blades, fan stacks, or drift eliminators and may cause damage. For this reason, the maximum recommended time interval for fan reverse operation is thirty minutes per reverse operation cycle. Your operators will gain experience with the tower at varying weather conditions. 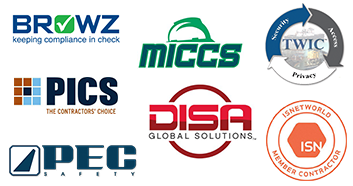 Midwest Cooling Towers highly recommends that your operators maintain a log detailing cooling tower configuration (number of pumps operating, number of fans operating, individual fan speeds, and weather conditions).